Home » News » Full STEAM Ahead at St. Justin School! Full STEAM Ahead at St. Justin School! Starting the fall of 2016, St. Justin piloted a lunchtime STEAM club, where students can learn technology skills and how to innovate for tomorrow’s workforce. 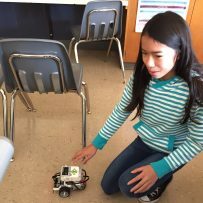 Students use a LEGO Mindstorms robot, a New Matter 3-D Printer, and coding lessons from code.org. They have quickly learned the essentials for computer programming and design thinking. “It’s very interesting learning to code and using the 3-D printer,” says Mitchell, a member of the club. The code.org resources have helped the students’ ability to program, and they are able to create designs and print them on the 3-D printer. “The STEAM club has been very fascinating and fun,” says Kirsten, another member of the club. The club gives students the opportunity to try new things and to make mistakes, a key component of design thinking. “I think it is important for students of all ages to learn technology through a hands-on curriculum,” says fellow student Andrew. The hands-on approach is very helpful, especially with being able to program robotics. 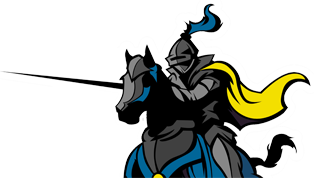 The STEAM club has been a resounding success, and St. Justin looks forward to expanding in 2017.